Simon Desbruslais is a Stipendiary Lecturer in Music at Oxford University. I spoke to him about his recently finished thesis entitled ‘The Identity, Application and Legacy of Paul Hindemith’s Theory of Music’. What constitutes the core of your thesis? Paul Hindemith wrote quite a number of theoretical texts, and he has been very well known for a book he wrote in the 1940s called Elementary Training for Musicians, which is an aural training book. I had to read it as an undergraduate, and it’s quite common in undergraduate education to study this Hindemith book. I was interested in the fact that it is particularly well disseminated, and yet Hindemith’s reputation as a theorist is quite misunderstood. He wrote something called the Unterweisung im Tonsatz, which is roughly translated as ‘The Craft of Musical Composition’. He planned it as a four volume set and completed the first volume which is called ‘The Theoretical Part’. It’s sort of a grand theory of music – a very ambitious piece which isn’t very popular now and not too many people study it. He wanted to achieve a way to order chromatic music, and in this volume tries to develop a way through theorising extended tonality. He was very anti-serialism – this book was written in the 1930s, so there was a lot that he was battling against. Given that in the 1930s we suddenly have a massive explosion of different musical styles and techniques of writing, he wanted to find a way that was not serial and yet still ordered the twelve-note space. To do this he resorted to acoustics. He wanted to place himself within the Pythagorean tradition of looking at overtones, and using them to generate thoughts about musical systems. Hindemith was basically trying to say that we can write chromatic music; here is a brand new set of rules that you can use to write it with, and those rules are based on acoustic phenomena rather than ‘number games’, as he would have called them. So I’m evaluating Hindemith’s theory in the first place – what is it? what is it trying to do? Having offered a perspective on that I use it to analyse Hindemith’s own music to try and gauge the presence of his compositional theory in his practice. I end by thinking about the way these ideas have been received, and the legacy that he’s provided. Would this chromatic ordering apply itself through voice leading? That’s actually one of the main problems, as he’s not very clear about the practical application. It’s one of the main areas in my thesis that I try to tackle. He runs through a number of speculative theoretical ideas based on acoustics and has a very small chapter on practical application which I don’t think does what it needed to achieve. So we’re actually in a lot of doubt as to what Hindemith was trying to do on a small scale – on a note-by-note basis, how does his grand theory of overtones and acoustics actually relate to how you should be writing your compositions? And that’s at the heart of my thesis – how does Hindemith’s theory actually relate to the music he writes? How is that going to be understood in the music of later composers, particularly those who have a Hindemith affinity? 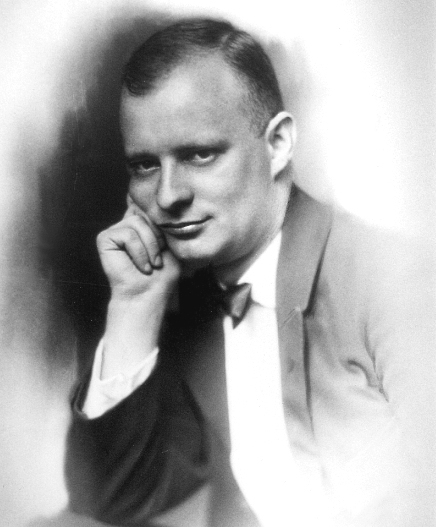 Hindemith begins with the overtone series – a scientifically verifiable phenomenon. You can hear it in many scenarios – a church bell for example… He takes those notes and he uses them to generate a scale. To do this he has to squeeze the overtones in the space of one octave, which is quite difficult. So he takes each overtone and divides the vibration by a certain amount in order to get that pitch down into a range that he can then work with. So accommodating it within our tuning system? Sort of, yes. He starts with a note, say C, as a fundamental note – he likes the metaphor of a family group, so C would be like a father. Then you would have the next note in the series which would be a G – simply the next note up in the overtone series so no problems thus far. But G is … somehow more distant than our first note, C. The next note he takes is an F which involves the first division of a higher overtone, the idea being that the further we get from a generated note along a series, the more distance that pitch has in relationship to the first note. This is a system that we call ‘pitch centricity’ – the idea that there is a chromatic world that you as a composer are writing in, but there is one note which is more important than all the others. To that one note, there is a diminishing order of relationships – somehow a broad technical brush that you can use for your compositions. This pitch structure is called Series 1, and by virtue of the fact that you have the three most important notes as C, G, and F, rather than say C, G, and E, the major triad, it is essentially saying that pitch is based on fourths and fifths. Or intervals based on fourths and fifths are the most important. If you change the ordering of those notes – G, up a fourth to C, up a fourth to F – then it goes some way towards justifying the criticism that you often hear about Hindemith’s music, that it’s based only on fourths and fifths. I think that this is a deeply theoretical concept that is related to this Series 1 idea – the quartal pitch collection. What I then do is construct my own way of thinking about fourths and fifths, and then using that way of thinking, identify other collections of fourths and fifths and other strategies within Hindemith’s music. Furthermore I look at different portions of Hindemith’s compositional life – how these strategies manifest themselves in his earlier music, as opposed to his middle and late music. The way I construct the idea of early, middle, and late is based on the fact that his music theory falls in the middle of his life. So the things that he wrote well before he started thinking about theories in the early ‘20s are his early pieces, and they’re very pluralistic, octatonic, and occasionally you might find one of these fourth/fifth quartal collections but they’re sparse. It then becomes far more regular in his middle music, into what we can begin to describe as his theoretical works. The quintessential example of that is his Ludus Tonalis, the piano cycle. His later music works in a similar way but somewhat more conservatively. With these quartal pitch collections, if you have restrictions on tone movement how do you generate melodic and harmonic variety within that? I think that’s one of the big problems in Hindemith’s music. His system is so general as to not be very good at modulating. I think one of the reasons that many people have aesthetic issues with Hindemith’s writing is precisely this feeling of sameness that you get in his music, but I think he’s actually quite an inventive composer with the material that he’s got. Harmonically, he’s put himself in a position where there’s not an enormous amount that he can do. If you take a collection of pitches based on fourths and stack them endlessly, you eventually arrive at the same place again. So moving from one area to another is effectively moving within the same place. There isn’t an alternative place that you can go to which is still part of the same harmonic relationship. Sometimes people say of Hindemith’s music that if it’s in C there will be some kind of modulation from C, say to A-flat. I think that’s slightly inaccurate because if you carry on up in fourths – C, F, B-flat, E-flat, A-flat – then you’re in an A-flat looking place already and it could essentially be in the same collection. With a piece like ‘Ludus Tonalis’, how much did you find that it conforms to a theory that is perhaps somewhat nebulous anyway – how theoretically based is that piece? That’s not an easy question to answer, but firstly I think you have to paraphrase what Hindemith was trying to do as he’s not very clear about it himself – a way of prioritising in nature, or via an operation that involves nature, the prominence of fourth and fifth relationships. From there, you look at the way these fourth and fifth relationships function within his pieces in order to draw a theoretical connection. The Ludus has been consistently referred to as a quintessentially ‘theoretical’ piece. If any piece is theoretical, then it’s the Ludus Tonalis. This manifests itself on a number of levels. Each of the twelve fugues starts on a note of Series 1, but these are somewhat superficial relationships and don’t really say anything about how he actually wrote the pieces. The very beginning of the Praeludium starts with a play on Series 1… If you look at the Praeludium, it is exactly the same as the Postludium with the exception that you take every single note and rotate it 180 degrees. It’s a retrograde inversion of itself. It’s an amazing contrapuntal thing to have done, but one could argue that the nature of quartal language means that you can do that sort of thing. If you just turn it upside down you are essentially preserving the same kind of harmony unlike if you were working in a tonal sphere. The piece is structured with the Praeludium at the beginning and the Postludium at the end, with alternating Interludiums and Fugues between these. The fugues are the most theoretical bits of it, and the way in which the fugue subjects are structured can be related to theoretical strategies, particularly in the way he uses fourths and fifths. This goes back to the same ideas as the Praeludium and Postludium which is that if your counterpoint is based on fourth/fifth procedures, then of course you can do all kinds of incredible retrograde inversions, simply because it lends itself very well to that kind of operation. The identification of quartal pitch spheres and relationships as compositional strategies in that piece leads to the conclusion that it is a theoretical piece, because Hindemith’s theory was implying – but not explicitly stating – that that is how one should be going about one’s writing. In his somewhat synthetic approach based in a combination of science and nature, are there any similarities with Heinrich Schenker? Why do you think that Schenker’s theories have become so widespread in comparison to Hindemith’s? I think it’s more unfortunate than anything else, but there are a number of reasons. But firstly looking at Schenker and Hindemith’s relationship, they did correspond very briefly. At the end of the Meisterwerk volume, Schenker essentially says that Hindemith’s music is rubbish. Hindemith wrote to Schenker because he respected him, sending one of his string quartets saying that Schenker will be able to find an Urlinie in it. [The Urlinie being Schenker’s idea that a descending scale and its attendant harmony can be found underpinning all pieces of tonal music.] Schenker wrote back saying – no, with respect we will have to agree to differ. A lot of Hindemith’s graphic theory is based on Schenker’s ideas. A man called Hermann Roth who proofread Hindemith’s music theories was a critic in Germany in the 1920s and a great friend of Schenker’s, so Roth was a kind of middle-man for Schenkerian ideas. When Schenker died in 1935 there were a number of immediate things set up – a school of music, a Schenkerian Studies publication. His students – Ernst Oster and Oswald Jonas, for example – were very keen to disseminate his ideas. A lot of them emigrated to the States with the outbreak of the war, and that unfortunate circumstance actually helped Schenker’s cause by having key Schenker students in academic positions in the United States. Hindemith was enormously popular in the 1940s – Yale was one of the places to go, it had an enormously strong faculty. Copland quotes in the 1940s that every composer was writing like Hindemith, he was very popular and a chair holder as well. But there is a documented feeling among some of his students that he slightly bred resentment. He was quite a hard teacher and as a result when Hindemith died he had fewer faithful students, people were not rushing off to academic posts to talk about Hindemith. It sounds like a crazy point but it’s actually quite important that when you die you need to have friends left who care about you and your work enough to want to keep talking about you. I think Hindemith had a slight problem with that. So there’s that element of it which one could suggest that Hindemith’s to blame for. The other side is more unfortunate. Hindemith left the States between 1950-1952 when he started commuting to Switzerland. He left his post at Yale in 1952 to move to Zurich. However it was at exactly this time that things started to get interesting in the United States. In 1952 Felix Salzer wrote the first major exposition of Schenkerian theory in the English language called Structural Hearing. This opened up an enormous area of Schenker interest, so people started digging up Schenker’s original German publications and furthering his ideas. Furthermore you have an Americanization of Schenker theory – conveniently forgetting about Schenker’s more controversial, particularly nationalistic and political ideas, and focusing on a way of talking about counterpoint and voice-leading in music which continues today. At the same time in 1955 Milton Babbitt started to develop a way of talking about twelve-tone music as set theory which forms essentially the other great pillar of North American analytical theoretical musicology today. All this happened at exactly the time when Hindemith needed to be around to talk about his own work. Instead he retreated and started to do more conducting, and that meant that his theory wasn’t either disseminated or changed. Schenker’s theory has not disseminated in its purest form, it has been rethought in many respects. That didn’t happen with Hindemith – in fact he didn’t finish his four volumes of Unterweisung. He only wrote and published volumes one, Theoretical Part, and two, Exercise in Theoretical Writing. There is a hash-up of part three in German that Hindemith didn’t actually want to be published, and there are only sketches for volume four. So the work is incomplete, Hindemith himself had unfortunate timing, and he bred resentment. With Schenker his theory is all applied to music already written, so it’s very useful for analytical purposes. How much is Hindemith’s theory tailored as a guide to understanding his own compositions, or to be applied to previous pieces of music? This is a tricky one. Schenkerian theory – certainly from Schenker’s perspective – was to do with understanding tonal music, to show how good it is and stop people writing atonal music. That was the objective there. Funnily enough in Salzer’s Structural Hearing there are lots of post-tonal pieces, even Hindemith’s in there, which could pave the way for talking about almost any kind of music you want to on Schenkerian terms. Hindemith began with grand unifying ideas of music, so while Schenker’s theory has been used in this way but he didn’t intend for it to be, Hindemith is the opposite. Hindemith expected the analytical model that came from his theoretical writing to be applicable to all [Western] music. At the end of his first volume he talks about Gregorian chant, Schoenberg, and himself. The idea is that you can apply his way of thinking about things to all these different types of music. One would expect, therefore, that Hindemith would have been happy for his analytical method to be applied to current musics. The actual way he goes about applying this analytical model is very Schenkerian. There’s a middleground where they kind of cross over, and obviously the Schenkerian strand has been the one that’s continued. Where you have various composers that have taken up different theories like set theory, do you think that the amount of writing that was left by Hindemith can actually make a practicable and workable theory of composition? I don’t think that Hindemith’s theory is explicitly generative like that. People have been trying to create generative theory – in fact there is indeed a generative theory of tonal music by Lerdahl and Jackendoff. More recently, in 2011, a Princeton lecturer called Dmitri Tymoczko published a grand unifying theory of music based on geometry, the idea that structures form shapes. These are the kinds of things that I think Hindemith wanted. In basing his theory of fundamental scientific concepts such as the overtones, he was aspiring to be a polymath of old and to somehow combine science and music in a manner that could help in beginning of a new way of writing music. The problem is that I’m sure Hindemith wanted to be generative, but that’s not necessarily something that he achieved. This link between pedagogical texts and composition – do you think that that is more prominent in the twentieth century than previously? Yes I think so. One of the big things that happened, certainly in the second half of the twentieth century onwards, is the development of the Society for Music Theory in the States. It’s very different in Europe, particularly in the UK. I’m making a distinction here between analysis and musicology as we understand it, but generally the UK/European brand of music analysis is to look at specific case studies and to analyse scores based on certain contexts, perhaps empirically, and make judgments about them. In the States there is more of an emphasis on coming up with your own theory of how things work. If you look at all the major chairs in the US – for example Hindemith’s chair of music theory at Yale, the Battell Professorship of Music Theory – Richard Cohn holds that chair and he has his own theory of parsimonious voice leading. Hepokoski and Darcy have their own theory of how sonata forms work, and so on. Particularly at Ivy League universities, theorists are not only looking at other people’s theories but creating their own too. That attitude means that of course there are a lot of theories around now, more than there used to be. There were lots of practical manuals – not just Fux’s Gradus ad Parnassum in the eighteenth century, but in the nineteenth century there were many particularly from the Austrian thorough-bass school. These came up with ways of writing figured bass, and relating that to species counterpoint as a fairly practical way of training someone in theory and counterpoint, and suggesting ways in which they could think about it in compositional terms. If you listen to any of Bruckner’s music, it’s enormously contrapuntal in a way that you can see developed through a nineteenth century Austrian thorough-bass theory. Those sorts of manuals are still around, but sporadically so. Then in the twentieth century things get slightly more interesting. I think when you try to start dealing with the problem of tone and pitch space – chromatic music – you start needing to resort to theories in order to try and create some kind of ordered system. Otherwise it’s freely chromatic, and what do you have to differentiate between one freely chromatic piece and another? So it’s an aesthetic issue as much as a constructive one. How does one come up with a system that allows us to use all pitches, but still makes sense? How do we build that system – do we look at scientific phenomena, geometric shapes, number games, chance games? Whatever we’re doing, we’re coming up with some kind of system to explain how we choose the notes that we do. Do you think that a lack of Hindemith monographs and other significant material in English has been a barrier to understanding Hindemith’s work? I think it probably has. I’ll make the point that having spent all this time on Hindemith does not necessarily correlate to me liking everything that he’s written. People are often quite sensitive talking about him because they assume that I must be a Hindemith lover, but I’m actually more interested in what Hindemith represents. Hindemith was highly regarded as one of the four great composers of the twentieth century alongside Bartok, Stravinsky and Schoenberg. That was quite a longstanding belief but I feel like that’s not the case any more. Hindemith has massively gone down in our estimation as a collective. For example, Hindemith died in 1963. 50 years since his death this year and there is not a single piece of Hindemith at the Proms. That, to me, is quite a big deal for someone who used to be considered one of the great composers. There’s an enormous amount of existing material out there that’s unpublished as yet – Music and Letters have just given me a grant to purchase complete transcripts of about 70 hours of interviews with people who knew Hindemith. I’ll hopefully be publishing a book under the title Hindemith Remembered which takes the best bits from that collection. There’s an enormous amount of interesting stuff, particularly for Third Reich studies. Hindemith had a very complex relationship with the Third Reich – I did write a chapter on it in my thesis which my supervisors and I eventually took out and will put somewhere else as it wasn’t quite central to the thesis question. But suffice to say that there is an enormous amount of provocative and contentious material. Will the association with the Third Reich have impacted upon his reception as well, as people tend to steer away from studying composers with affiliations with the regime? Absolutely. Third Reich studies are very popular here – there are lots of interesting books being written about music and the Third Reich, for example Forbidden Music by Michael Haas which came out a few months ago, but there’s very little on Hindemith thus far. Although I wouldn’t say that Hindemith was ‘affiliated’. There’s still an enormous amount of material in the Yale Hindemith Collection that hasn’t been written about, and in the Berlin Musikhochschule. All this is publicly viewable so there’s a huge amount to be explored on Hindemith, particularly drawing him into wider relevance alongside these other studies. Not just in Third Reich studies but on the wider level of cultural and theoretical studies. Hindemith was also quite an artist, there’s a huge amount of Hindemith’s art, particularly drawings on postcards and greetings cards etc, which is all in the Frankfurt Hindemith Institute, housed within the Frankfurt Hochschule. How then do you view Hindemith’s legacy? I’m a performer myself, and I think that Hindemith’s reputation is different between performers and academics. That’s a very general distinction but performers often really like Hindemith, or at least know about him and have played him. In musicology it’s not quite the same relationship. There’s been a lot of published Hindemith bashing. Also because of the instrumental sonatas that Hindemith wrote, I think Hindemith’s music is played all the time, perhaps a lot more than a lot of modern composers who have books written about them. I think that’s also unfair, or perhaps again just unfortunate.